Over the last 25 years or so, the island of Sicily has tranformed itself from an overgrown grape juice factory into a hotbed for cutting edge, superripe, fine wines. Its long, arid, sweltering summers allow for extreme ripening of grapes, thus producing ripe, dense, fruit-packed wines. In the last decade some remarkable (and expensive) Sicilian wines have stunned the wine world, but the island is also becoming known as a place for great values. One of these is this red wine from the Colosi winery — Colosi Rosso — which retails for under 10 bucks. It has a somewhat closed nose at first, but if you give it some time it will eventually produce aromas of sour cherry, sour cranberry, and a touch of plum. In the mouth it has a ripe, fresh, open fruit flavor — cherry again, along with jammy red raspberry, black raspberry, plum, and pomegranate. 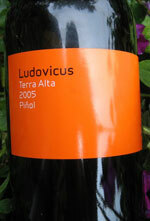 It displays good depth, with mild hints of earth and tar, and has a smooth texture, with medium tannins. I originally discovered this wine about four years ago, and though the acid and tannin levels seem to fluctuate according to the vintage (in some years, this wine may remind you of Chianti), the fruit has always been ripe and buying a bottle has never been a disappointment. Try it with chicken fricasee or chicken pot pie, or with meals based on turkey or lean ground turkey. Itï¿½s also enjoyable on its own — consider it with simple frozen-food type appetizers (hot poppers, pigs in blankets, mini-pizza). Because of the juicy jammy fruit, this might be a good bridge wine for transporting Yellow Tailers to real wine. How often can you find a Barbera from Piedmont under ten bucks? And would you believe it would be any good? Once again Vias Imports delivers a great wine value from Italy, this time it’s Castelvero Barbera. The wine comes from a high-altitude (about 1200 ft.) vineyard in the Monferrato hills of Piedmont, is fermented in stainless steel, sees no oak, but does get a malolactic treatment, for those who want to sound smart when chatting about it. The lack of oak allows the pure, clean Barbera fruit to come out in the wine — which for me is a positive. That pure fruit is immediately noticed in Castelvero Barbera’s perfumey, open nose, which bursts with red cherries, black raspberry, hints of spice and earth. The palate has ripe black and red cherry fruit, raspberry, touches of cranberry and spice, all delivered on a smooth texture. Gushing, mouthwatering acidity and soft tannins add to the structure and help with food compatibility. 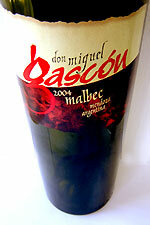 It’s well balanced through the finish, which is longer than expected and includes both red and black berry fruits. Match it with pasta in marinara and other red-sauce dishes, grilled or blackened poultry, meaty fish (salmon, trout, blackened catfish), mild cheeses, mac and cheese. This is a really nice red wine for the price: soft and easy drinking, yet complex enough to be enjoyable and matchable with a variety of foods. Great Value and an Everyday Wine. Tasca d’Almerita makes two very reliable everyday “table” wines from its Regaleali property, one white, one red. This is the white — Bianco — and the 2004 vintage is still fresh and enjoyable. In an attempt to clear up some confusion: Tasca d’Almerita is the name of the winemaking family that owns the Regaleali estate. Generally speaking, wines made by “the Count” — Count Tasca d’Almerita that is — are referred to as “Regaleali”. Whether you call it Regaleali or Tasca d’Almerita, the wine is the same — and it’s usually very good. The Regaleali Bianco is made from three grapes indigenous to Sicily — Inzolia, Catarrato, and Grecanico — but you won’t see these grapes anywhere else so it’s not necessarily important to commit them to memory. Regaleali Bianco teases the nose with subtle aromas of pear, straw, and lemon, but the wine really comes alive in the mouth. Fresh, clean, ripe white fruits are tasted immediately, specifically pear, white peach, and a citrusy component that resembles lemon. The fruit remains strong and seems to increase in concentration as it lays on the palate, and stays ripe and apparent through a surprisingly long and balanced finish. This wine’s ample, chalky acidity and hint of mineral make it a wonderful wine to match with a wide variety of foods, especially dishes based on chicken, fish, and pork — I’d also recommend it with Asian cuisine and vegetarian dishes. At around around a dozen dollars, this wine gives you a lot of bang for the buck. A good value.